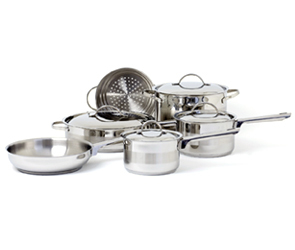 This handy and sturdy stainless steel measuring cup set is built to last a long time. 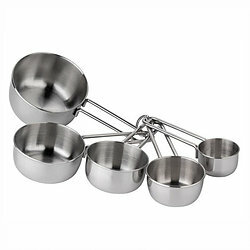 This set is secured with a metal ring so that the measuring cups won’t be misplaced. 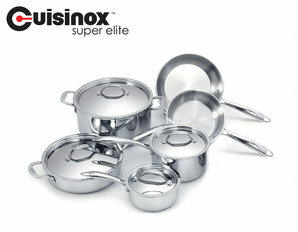 This set includes: 1/8 cup, 1/4 cup, 1/3 cup, 1/2 cup, and 1 cup.